Information summarising the rise, fall and rebirth of Mellormedia Productions. Founded in 2004, Mellormedia Productions was devised at The Spotlight Studio to focus on creating animated short videos to compliment and promote the ongoing projects at the studio. After the studio closed in 2011, Mellormedia set up independently as a small business and offered digital media services until 2015 when the decision was made to focus on other areas of life whilst still engaging in media creation as a hobby and pastime when permitted. The Spotlight Studio was created when 'Spotlight Training & Media Ltd' moved into new premises in 2003, focusing on the 'Media' side of the business. Creating news articles, promotional, instructional, music videos and more, work at The Spotlight Studio was a dream job and highly rewarding. 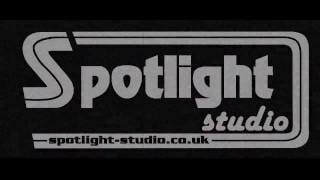 Spotlight Training & Media Ltd had it's origins in a small community film and drama group [Spotlight Film & Drama]. When offers of paid work started to roll in, it was decided that a sustainable business could be developed. From these early projects [events, weddings and community awareness videos] the beginnings of camerawork, editing, directing and production skills evolved. The 2 main sides of the business were training & media. The media side happened in The Spotlight Studio whereas the training side offered extra curriculum activities in the ICT suite, salon and 'mini-farm' which were delivered as part of 'The Vocational Access Programme', successfully adopted by a number of local schools from around the area. View the brochure for more information.